If you think you are an outstanding swimmer then it’s time to prove it! 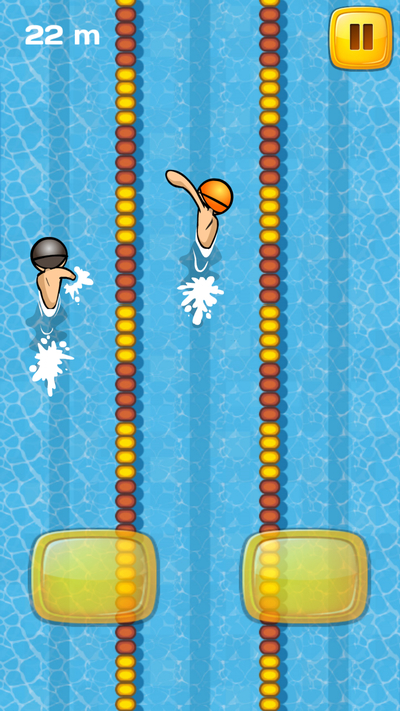 Olympic challenges await you – prove you are born to be water champion! 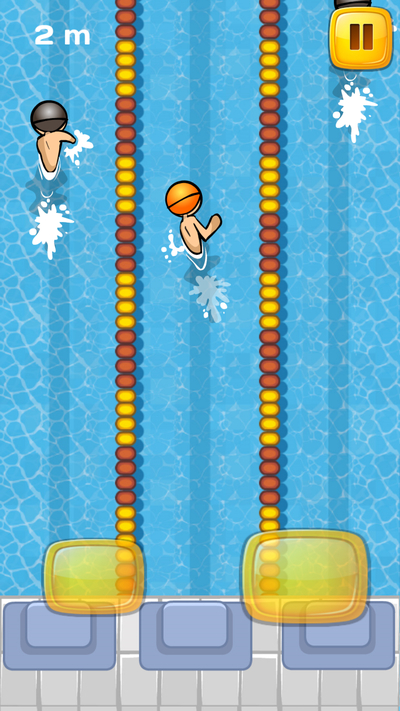 Swimming Competition game will make you feel like a real sportsman competing against other swimming professionals! Test your speed and rhythm, overcome your opponents and earn the best score! HOW TO PLAY: There are two buttons in the bottom of your screen. Tap them to make your sporty character swim! Maintain swimming rhythm to move forward faster! Remember – your opponents have all chances to win! Try your best and gold medal will be yours! Swimming Competition features: - swimming sport challenge with great characters - vivid images of water trial - great sound effects - perfect intuitive controls for kids and adults, and even real swimmers! Swimming Competition – prove you are a worthy sportsman, defeat your competitors and win the game! Become real Aquaman!